I recently went to Ross to make a return and wound up with a $25 credit, this is what happens when I wait two months to return something! 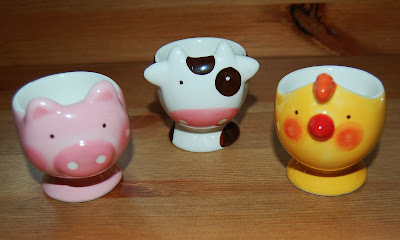 Well, I began browsing around the store and came across these cute little farm animal egg cups, before you ask why would I need farm animal eggs cups, let me explain. JD has had a very funny obsession with the egg cups I bought a few months ago for Easter brunch; I placed those egg cups in one of my buffet drawers (which has child safety locks), but he always manages to get them out and walks around the house pretending to drink out of them and placing snacks in them. 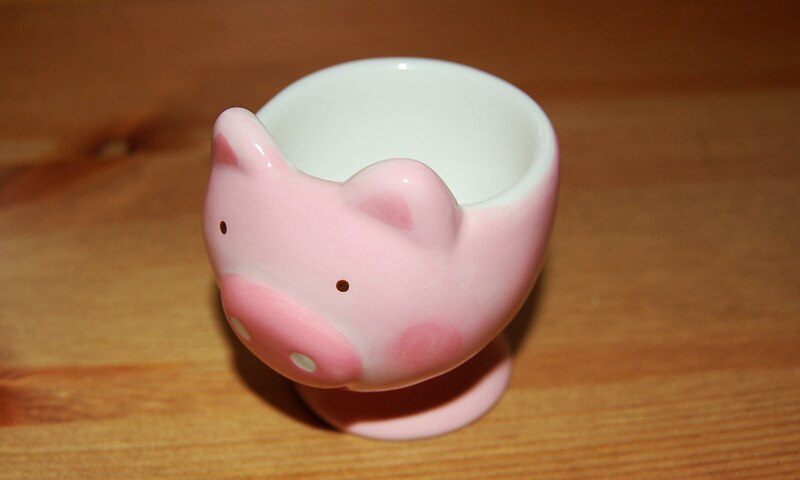 So, when I saw these adorable little egg cups I just couldn't help myself, all I could think of was how excited JD would be to have his very own egg cups.